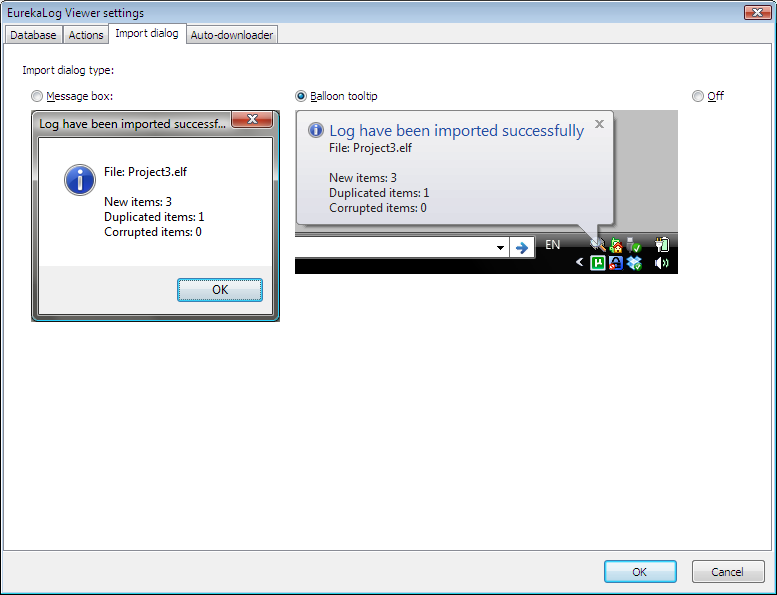 On this tab you can select one of three import status dialog types. The last one option disables dialog at all. The default for EurekaLog Viewer from EurekaLog 7 is balloon tooltip style. The default (and the only) style for Viewer v3 is message box. Note, that dialog appears only once (at the end of import), if you import few reports.